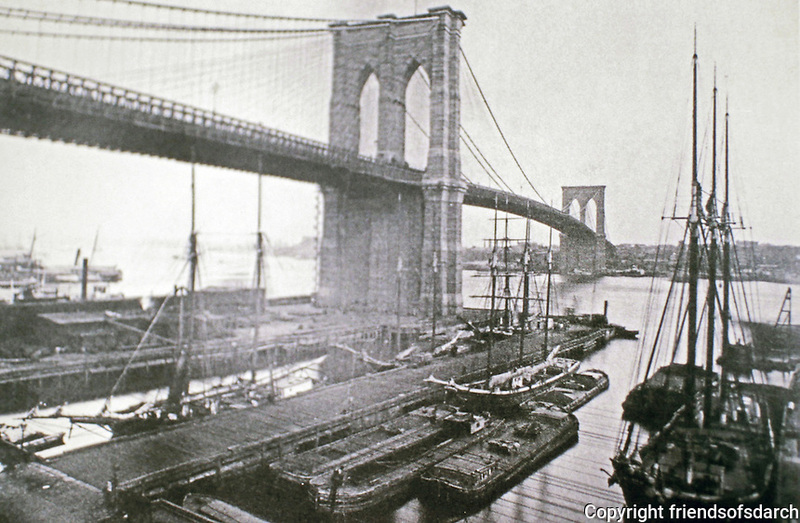 Brooklyn Bridge--old photograph-- hybrid cable-stayed/suspension bridge in New York City. Completed in 1883, it connects the boroughs of Manhattan and Brooklyn by spanning the East River. John A. Roebling, Washington Roebling, David B. Steinman, Architects.